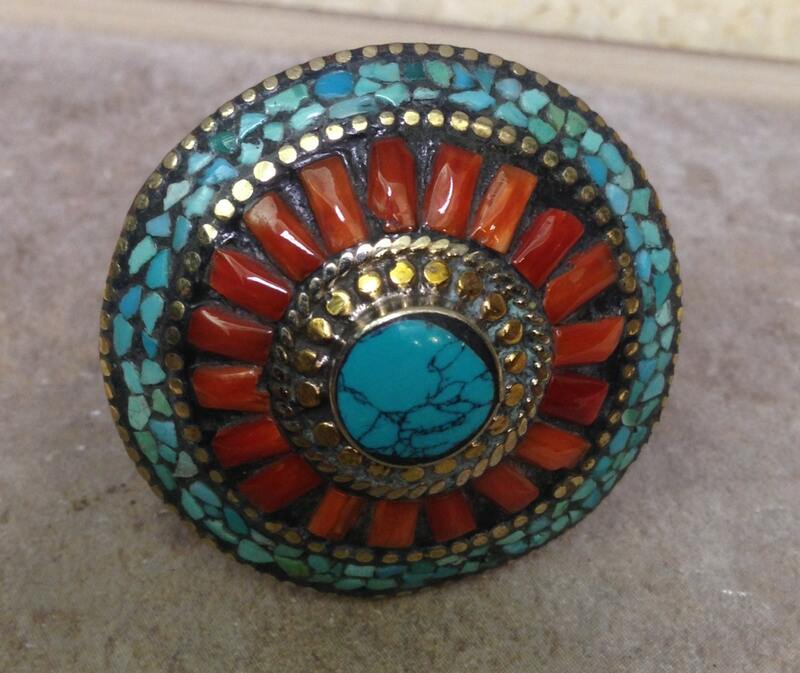 This is a wonderful Coral and Tibetan Turquoise Ring. Tibetan jewelry pieces are made with technique of Repoussé and chasing on silver, brass and copper. Repoussé is a metalworking technique which is ornamented or shaped by hammering from the reverse side of metal sheet. While Repoussé is used to work on the reverse of the metal to form a raised design on the front, chasing is used to refine the design on the front of the work by sinking the metal. The motifs and designs are created by hammering on the metal sheet after putting the resin and wax underneath. Chasing is the opposite technique to repoussé, and the two are used in conjunction to create a finished piece such as beads, pendants, bracelets, earrings and necklaces. This method is beautiful on the front as well as the back. To Tibetans Turquoise signifies the development of wisdom as well as the cycle of life and death, which is central to their religion.and coral symbolizes blood, fire and light, making it a potent charm for life and health. It was imported into the Himalayas from the Mediterranean long before Marco Polo's travels in the 13th century and has always been highly valued. Tibetans believe that it has special Amuletic, protective power for women. 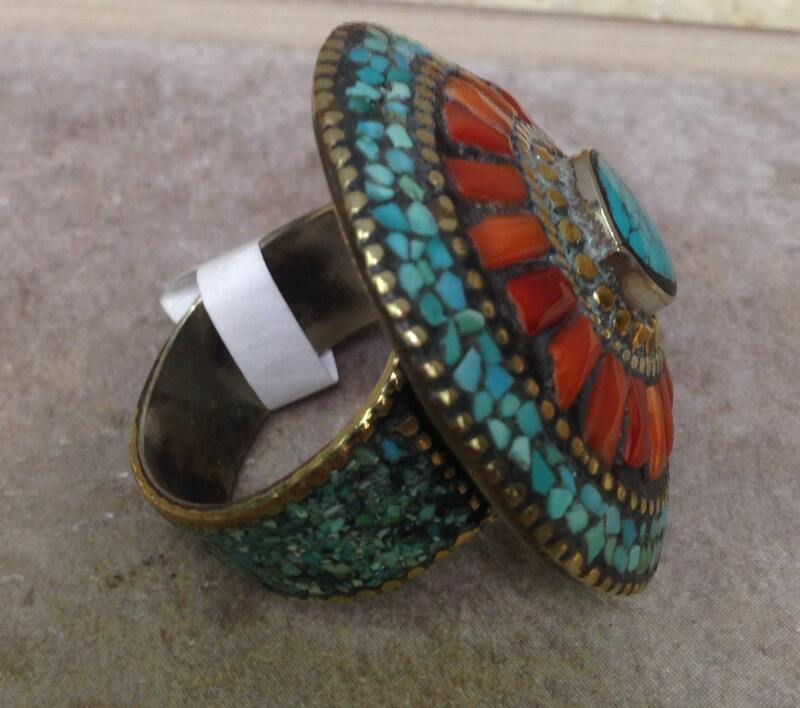 The band on the back of this ring has in-laid Turquoise. This ring can be worn by both men and women.